It’s time to wipe the dust off your umbrellas, buy a new raincoat and rain shoes. Yes, the rainy season is at the corner. 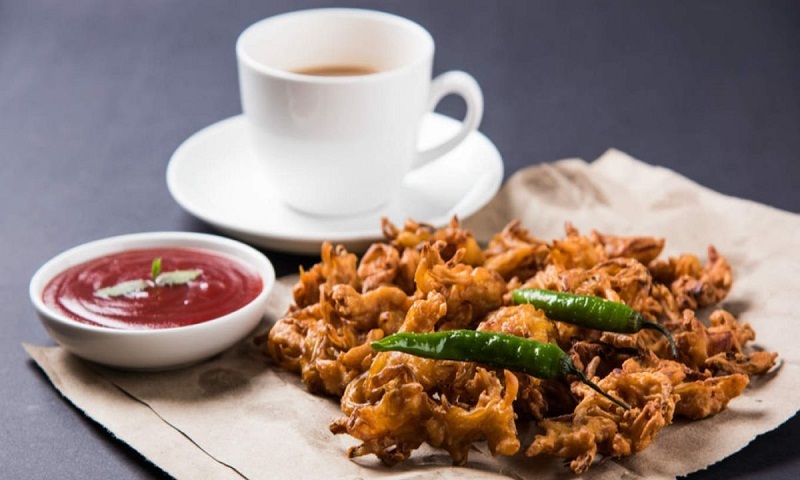 Definitely, you are tempted to enjoy rain showers with ‘garma garam’ pakodas and a steaming cup of tea. Though it brings a great relief from the scorching heat, but beware, the monsoon brings the best breeding base for the disease-causing germs and bacterias. Your body system is also not adapted to this season. Here is the list of some food items which should be completely avoided to stay fit in this weather. Exposure to the monsoon air contaminates the raw pre-cut fruits. So avoid them to eat not only from the street vendors but also at home. Increased moisture leads to bacteria sticking on the raw food stuff. In the market flies also contaminate them. Whenever you want to have fruits, have them in hygienic conditions of at home only and cut them with clean hands and consume instantly to avoid diseases. No matter juices taste good but it becomes very unhealthy if you consume them in streets or market. You cannot escape flies and henceforth diseases if you are doing so in this season, as flies breed drastically in this weather and they are liable for many diseases. Also, the street vendors use the ice made from unhealthy water. So if you want to have fresh juice, make it at home only taking all precautions of hygiene and consumed instantly. A big no to water-bearing street food like golgappas and ice golas in the rainy season. The quality of water these vendors use is not upto the mark and safe to consume. Uncooked tangy water causes diarrhoea. So don’t consume the foodstuffs containing water in streets in monsoons. These products are also not advised to be consumed as they can take a toll on digestion. If you cannot avoid milk, boil it properly before consuming. Hot tea and hot coffee can also be taken. Avoid eating raw paneer and curd as they are prone to have bacteria. White rice leads to retention of water. It lowers immunity and weakens the digestive system. Brown rice and unpolished rice is a better option to choose in place of white rice. Monsoon is the breeding season for fishes and prawns. These should be completely avoided in this season. If you are craving to have a non- vegetarian food, you can go with well washed and well-cooked chicken and mutton. In this weather, it is difficult to resist a platter of hot samosas, tikki chaat, papri chaat or any other fried snack. These foods become difficult to digest in the rainy season because of the high percentage of humidity present in the atmosphere. Because of this digestion system gets slow down and make you indolent and obese. So stay away from these foods, otherwise, you will have to pay for it. Thick oils like mustard oil and sesame oil render the body vulnerable to infections in monsoons. Also, they lead to obesity. So always use light oils like corn oil or olive oil in this season and be vibrant. Since our childhood, we are listening to the benefits of green leafy vegetables. The grunge and succulence present in them make these veggies highly susceptible to disease-causing germs. So give up eating spinach, cabbage, mint leaves, coriander leaves and lettuce in this weather. Also, avoid cauliflower. Instead, eat ghiya, tori, tinda and bitter gourd in the monsoons. Keep in mind to wash and cook every vegetable before use. As monsoon weakens the digestive system, it is highly undesirable to have such drinks. These drinks reduce the mineral level in our body which leads to a reduction in enzyme activity responsible for healthy digestion. These drinks are bad for your teeth and bones too. Clean boiled water and sweet or salty lemon water should be consumed as much as possible to be healthy and energetic in this humid weather. Be observant of your diet and stay healthy and dynamic in this rainy season. Health problems like cold, flu, malaria, diarrhoea, cholera, dengue and typhoid etc. can be avoided to a large extent by keeping away from the above-said foods and taking good care of personal cleanliness and hygiene around us.